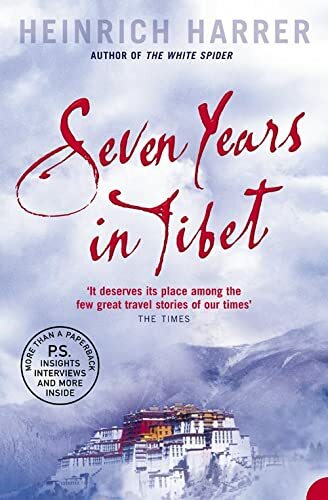 A landmark in travel writing, this is the incredible true story of Heinrich Harrer's escape across the Himalayas to Tibet, set against the backdrop of the Second World War.Heinrich Harrer, already one of the greatest mountaineers of his time, was climbing in the Himalayas when war broke out in Europe. He was imprisoned by the British in India but succeeded in escaping and fled to Tibet. Settling in Lhasa, the Forbidden City, where he became a friend and tutor to the Dalai Lama, Heinrich Harrer spent seven years gaining a more profound understanding of Tibet and the Tibetans than any Westerner before him.More recently made into a film starring Brad Pitt, Seven Years in Tibet is a stunning story of incredible courage and self-reliance by one of the twentieth century's best travel writers. In the summer of 1939, climber and Olympic ski champion Heinrich Harrer was in India when war was declared. He found himself a prisoner of the British and was interned at the POW camp at Dehra- Dun. ‘Up here,’ says Harrer, ‘we had the Himalayas right in front of us. How attractive to a mountaineer was the thought of winning through to Tibet over the passes... Even if my plan failed it would be worth having a spell of high freedom in the high mountains.’ So began an adventure of epic proportions. With few possessions and little money, Harrer escaped in 1944 and succeeded in reaching Tibet only to discover that the Tibetans did not welcome strangers. Eventually, after great hardship and some remarkable experiences, battling against both the ferocity of the elements and the indifference of officials to his plight, he succeeded in reaching the forbidden city of Lhasa where he became a tutor and friend of the present Dalai Lama, then a young boy, only leaving the country when the Red Chinese invasion forced the Dalai Lama to flee.